The rain here in Atlanta seems to be bringing a lot of people down. Personally, I love me some "Guns 'N' Roses weather" (congratulations if you get the reference), and as you saw in a previous update today, I've got classic rock playing today in my headphones. And don't let anyone tell you that heavy metal and classic rock can't be nerdy. "Ramble On" anyone? Anyway, let's get on with our usual Monday feature of a Terrain Corner, where we do our best to make your gaming table look fantastic. Today's articles include: Manorhouse Workshop Update #6 – 3D Bases – Modular Terrain: Skirmish & Wargame, Acheson Creations Releases the next in its Twentieth Century Alpine Trench Series – the Concrete Troop/Supply Shelter, New From Heroic Maps - The Tar Pits, Renaissance Miniatures Launches Steampunk/Victorian Terrain Kickstarter, Tabletop World Town Gate Sneak Peek, and Deep-Cut Studio releases new City Block gaming mat. 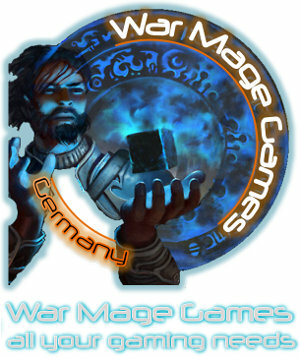 War Mage Games will be headed to Crisis and they're willing to bring your order along with them to save you shipping charges. (Booth 3B06 in Hall 1). If you place an order until October 25, they can bring the order to the Crisis Con, and you can pick it up there. This will save you the shipping charges. To place an order for Crisis-Pickup, choose "Self Pickup" as shipping method and send them a quick note in the comment field that you want them to bring the order to the Crisis for you. If you have a huge order, please contact them first, to make sure it can be done in time. Small orders may still be possible to produce up to 3 days before the Crisis, but again, please contact War Mage Games beforehand to ensure that it can be done. Warmill will be making their way to Crisis. Do you want to pick up your order at the show? Better let them know what you want so they can make sure they get it packed, then. What do I know about diamonds? ... Don't they come from Antwerp? 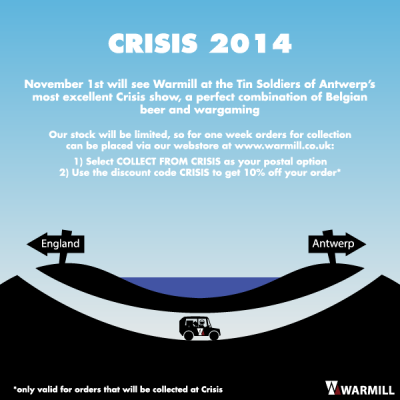 Warmill is getting ready for Crisis on November 1st, because we only have a limited time to make stock we're having a one week window to place orders via the webstore for collection at the show. Simply select the 'collect at Crisis' shipping option and use the discount code CRISIS to get the 10% show discount (only valid for orders that will be collected at the show). Tin Soldiers of Antwerp has posted up a little video photo montage of their time at Crisis. I wish I could've gone. The "Official CRISIS 13 TSA-report" is ready! 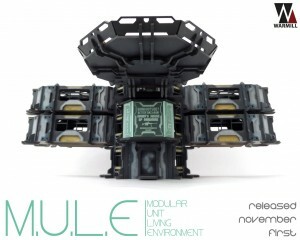 Warmill is showing off their upcoming M.U.L.E. terrain pieces that they will have at Crisis this weekend. They're also running a special deal on it. We'll be releasing our huge Modular Unit Living Environment range at Crisis in Antwerp this weekend, and to celebrate the whole range is available at 10% off for 2 weeks. Designed for maximum playability, this 28mm sci-fi building system is perfect for anything from mega city tower blocks to sprawling science facilities. Unique features include the ability to have buildings suspended above the tabletop for allowing for gaming around, inside, on top of and under the battlefield! Great Escape Games will be at Crisis in Antwerp this weekend. Will you be able to stop by and say hello? We will also have the very lovely 28mm Crimean War range from Great War Miniatures. Please pre-order by Thursday 31st. Cash only at the show, Euros or Sterling. 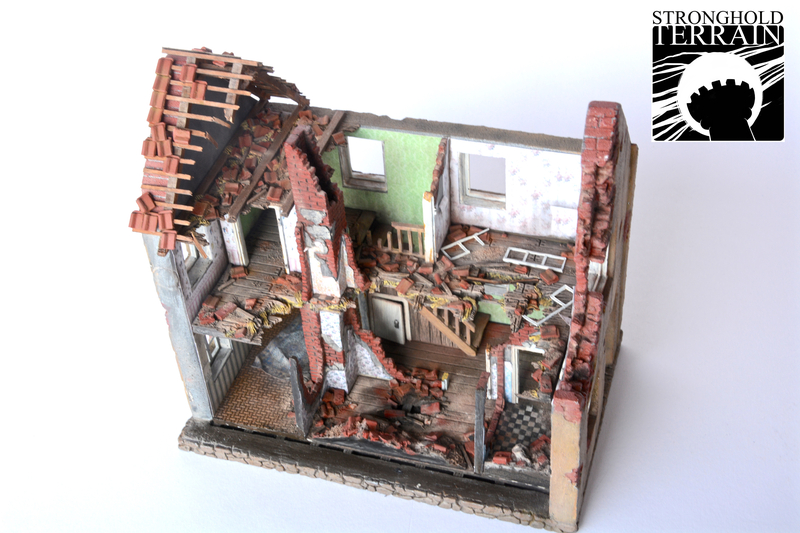 Stronghold Terrain will be headed to Crisis in Belgium again this year. I wish I was going. Will you be there? 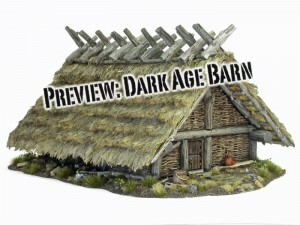 They've also got a preview up for a dark age barn they've been working on. Like last year we will be at CRISIS in Antwerp Belgium. If you like you can purchase all our terrain pieces at our stand and we too will have some exclusive Pre Releases in our package. One of it is our new Dark Age barn. Yes even Stronghold Terrain is in the SAGA Dark Age fever. We will also have a Diorama table with us showing our terrain pieces in action. You will get a 10 % discount and can collect your order at the show. Just send me an e-mail with all products you want to purchase. You can pay at the CRISIS or in advance via Pay Pal. Deadline for advance orders is the 30.th of October. Brueckenkopf was another of the lucky-ducks to go to Crisis this past weekend. They've posted up some coverage of the show. 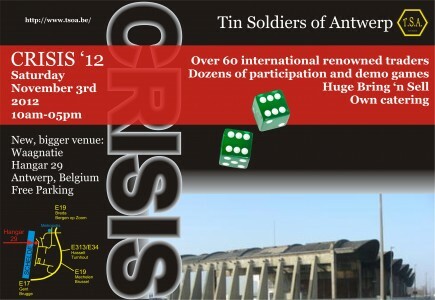 Once again the Tinsoldiers of Antwerp have done a great job hosting the Crisis 2012 last weekend. Corvus Miniatures posted up a report from Crisis. I wish I could've gone. Focusing on the SF & Fantasy side of Crisis 2012. Mantic will be another of the manufacturers heading to Crisis in Antwerp (link takes you to the Crisis Facebook page). I wish I was going. We're at Crisis in Antwerp this year for the first time with all of the latest new releases, gossip and rumours. It looks like Mr Ronnie Renton will be running the stand... and he'll be bringing DreadBall, Kings of War and Warpath with him! Go and check it out. Warmill will be making their way to Crisis and are going to be bringing their elevated road system with them. Warmill is heading to Antwerp for Crisis 2012, where we will be releasing our new ELMOR system, the Elevated Modular Road for 28mm sci-fi games. 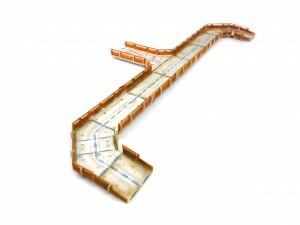 Made from laser-cut MDF, the ELMOR is sturdy, can be assembled without glue, and features removable barriers and road surfaces for complete flexibility in-game. Each individual straight section measures 225mm long by 125mm wide, and the largest set contains 4.5 feet of road in straights alone! The low level set will soon be followed by the sky-level set and will be completely compatible with it. The low-level sets are available now for pre-order to be shipped November 8th. To celebrate it's release, we will have a small number of sets available at Crisis before the official release date, where we will be offering a 10% discount on all our products! Tabletop-Art is headed to Crisis in Antwerp and if you want to make an order and have them bring it along, they'd be happy to do that for you. when ordering in our shop with comment "Self pick up crissis 2012". Critical Mass Games has updated their homepage with new releases as well as updated what they're bringing along with them to Crisis. Critical Mass Games will be packing up shop and heading over toCrisis 2012 being held on the 3rd Novemeber at its new venue, HANGAR 29 Waagnatie, Rijnkaai 150, 2000 Antwerpen. Our pre-order page is online and we are offering some excellent deals on our 15mm Sci-fi building sets at the show along with having this months new releases available. 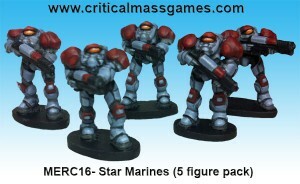 Critical Mass Games is now taking pre-orders for people who will be at Crisis gaming event in Antwerp and would like to pick up their minis there. Hi just a quick announcement about the show pre-orders page which has now been updated. The next show we are attending is Crisis at HANGAR 29 Waagnatie, Rijnkaai 150, 2000 Antwerpen, Belguim on Saturday 3rd November which as I write this gives you 14 days in which you can pre-order items for the show. 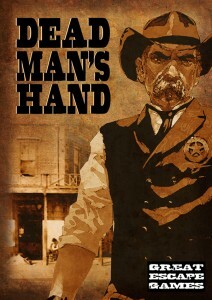 We are now offering a standard 10% discount on pre-orders (excluding show deals) via this web page. Discount will be applied to your pre-order and we will email you back to confirm the total amount. Additionally we are now offering some very exciting deals on our building sets for show only customers, though it should be noted we will no longer be carrying individual buildings to shows. 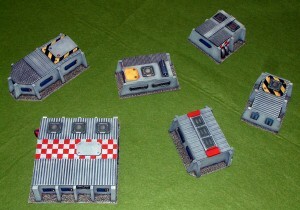 Stronghold Terrain is headed to Crisis 2012 and can bring along your order with them if you'd like. After 6 six years we are more than happy to announce that we are again heading to the Crisis 2012. Additionally we will give terrain painting demonstrations. You will get a 10 % discount and can collect your order at the show. Just send me an e-mail with all products you want to purchase.You can pay at the RPC or in advance with Pay Pal.